2015 Keystone Laredo 320TG . Ideal for families . It has 3 Slides , a rear bunkhouse, large island , front queen bedroom,outside kitchen with BBQ and burner. Outside entry to washroom. Trailer has been stored inside from October - May each year . Mint condition . Rarely used . 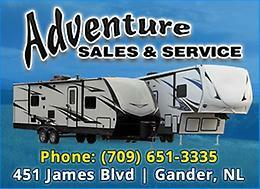 Super Light–½ton towable; Glacier Insulation Package; Master Br w/queen bed; Rear bunk-house; Ent. Center w/HDTV, int/ext speakers; Full size fridge, 3 burner range, microwave; Maple-grain cabinets; Full Outdoor Kitchen/BBQ; Power Awning…more! Excellent condition!